BT Ultra HD won't support older 4K TVs and amps | What Hi-Fi? The UK's first 4K TV channel, BT Sport Ultra HD, requires an HDMI 2.0 connection with HDCP 2.2 and 50Hz support – which means most 2014 AV amps and older 4K TVs won't be supported. The channel, which is available to pre-order now, is set to deliver its first broadcast on 2nd August with the FA Community Shield between Arsenal and Chelsea, the traditional curtain-raiser for the new football season. To watch BT Sport Ultra HD you'll need the new BT Ultra HD set-top box, which is a YouView box made by Humax (the DTR-T4000), a BT Infinity broadband connection and the new Entertainment Ultra HD package. But you'll also need to check your TV, and any other products, meet the necessary specification. The small print on the BT website explains that BT's 4K service "requires the TV to support HDCP 2.2 content protection and a picture resolution of 2160p50 (sometimes known as 50Hz) over the same HDMI port [an HDMI 2.0 input]". 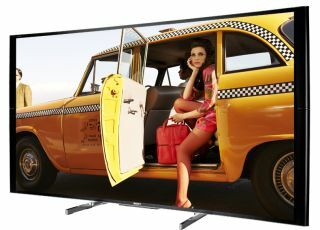 4K TVs from LG, Panasonic, Philips, Samsung and Sony are compatible, but there's no support for any Toshiba 4K TVs, nor mention of other budget brands, such as Bush or Polaroid. Certainly if you're an early-adopter who has owned a 4K TV for a few years, it's likely your TV won't be up to scratch. What's more, if you use an AV receiver in your set-up, you will again have to check that it has an HDMI connection with the necessary spec support. Otherwise you may need to rejig the way you connect your system. While many 2015 models have HDCP 2.2 support, most of the 2014 and earlier amps, such as last year's award-winning Pioneer SC-LX58 and Sony STR-DN1050, don't support this latest HDMI spec. Onkyo bucked the trend by offering the necessary support on many of its 2014 AV receivers, as well as the company's 2015 amps, such as the Onkyo TX-NR838. The BT Ultra HD box has one HDMI and one digital optical audio output, with the box's manual confirming: "Your other equipment needs to be able to work with Ultra HD or it’ll default to HD." It appears both connections are capable of outputting Dolby Digital surround sound. Compatible 4K TVs include the Panasonic TX-50CX802B, LG 55UF950V, Samsung UE55JS8500 and Sony KD-65S9005B. Head over to the BT website for a full list of BT Ultra HD compatible TVs. The battle between BT and Sky for TV supremacy is getting ever more competitive and 4K Ultra HD looks likely to play a part. Following news of Sky's 4K box yesterday, Sky is set to announce its latest financial results tomorrow [Wednesday 29th July], so we could well hear more about the company's UHD box, which has been dubbed 'SkyQ'.